You are at:Home»iPhone»Security»Can An iPhone Get a Virus? Here’s The Truth! Can An iPhone Get a Virus? Here’s The Truth! The iPhone is one of the most secure mobile devices on the market. Apple takes security seriously — and that’s a very good thing! 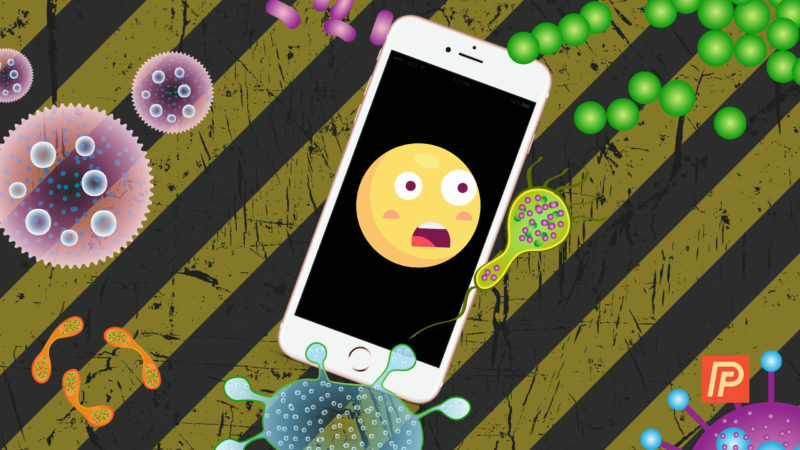 Though it’s rare, viruses called malware can affect your iPhone. In this article, I’ll walk you through how to keep your iPhone safe. How can an iPhone get a virus? In a word: malware. Malware is bad software that can infect iPhones, iPads, Mac computers, and other electronic devices. These programs come from infected websites, emails, and third-party programs. Once malware is installed, it can cause all kinds of problems, from locking up apps to tracking how you use your iPhone and even using your camera and GPS system to gather information. You may never even know it’s there. Thankfully, iPhone viruses are rare because Apple does a lot behind the scenes to keep your iPhone safe. All apps go through a serious security screening before they are approved for the App Store. For example, Messages sent via iMessage are automatically encrypted. There are even security checks in place before you download new apps to your iPhone, which is why the App Store asks you to log in before you download something! However, no device or software is perfect and there are still vulnerabilities. Rule number one for preventing an iPhone from getting a virus: keep your software up to date. Apple releases new versions of their iPhone software regularly. This software helps keep your iPhone secure by fixing any potential cracks that might allow malicious software to get through. To check your iPhone for updates, go to Settings → General → Software Update. This will automatically check for any Apple software updates. If an update is available, tap Download and Install. If you get an email, text message, or push notification from someone you don’t know, don’t open it and definitely don’t click on any links in these messages. Links, files, and even the messages themselves could install malware on your iPhone. The best thing to do is delete them. Malware can also live on websites. When you navigate to a website using Safari, just loading the page can also load the malicious software, and boom! That’s how your iPhone gets a virus. To prevent this, only visit websites for organizations you’re familiar with. Avoid any search results that go directly to files. If a website asks you to download something, don’t tap anything. Just close the window. Some iPhone users choose to jailbreak their phones. That means they decide to uninstall or go around part of the iPhone’s native software, so they can do things like download apps that aren’t approved by Apple and change default settings. 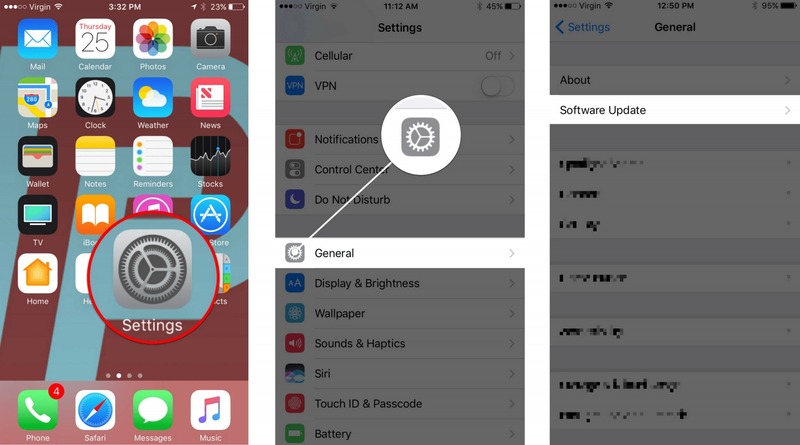 Jailbreaking an iPhone also turns off some of Apple’s built-in security measures. That makes an iPhone much more vulnerable to getting a virus. It also voids your iPhone warranty and causes other issues. If you want to learn more about jailbreaking, check out our article: What Is A Jailbreak On An iPhone And Should I Perform One? Here’s What You Need To Know. Do I Need iPhone Antivirus Software? There are antivirus programs out there for iPhones, but most of them just duplicate the features that Apple already has in place. If you feel like you need added security for your iPhone to prevent it from getting a virus, I suggest using Apple’s built-in security options. 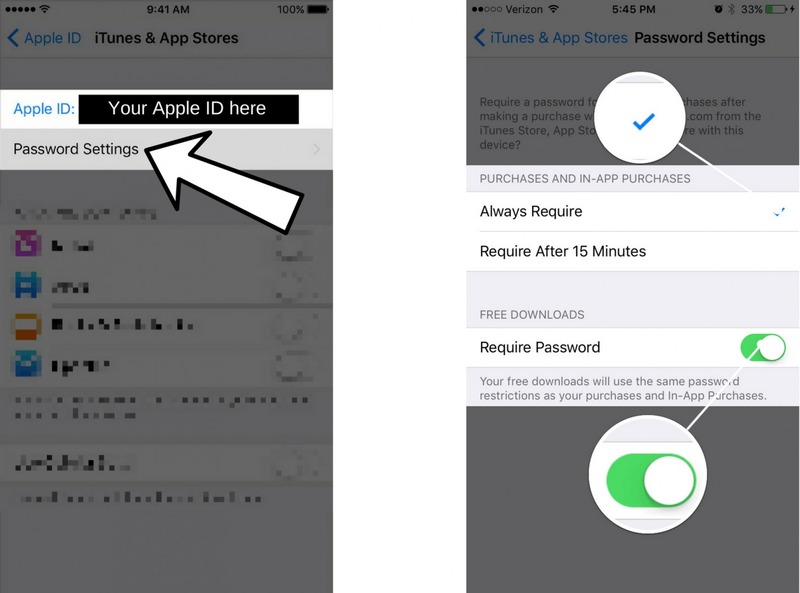 Set the App Store to always request your password before downloading an app. To check or change this setting, go to Settings → iTunes & App Store → Password Settings. Make sure the check mark is next to Always Require and that Require Password is set for free downloads as well. Note: If you have Touch ID enabled, you won’t see this menu. Set up a passcode for unlocking your iPhone. Go to Settings → Passcode → Turn Passcode On. Turn on Find My iPhone (Settings → iCloud → Find My iPhone) to unlock a whole host of features that will help keep your iPhone secure if you misplace it. Check out our guide to finding your iPhone from a computer for more tips about this program. If you still feel like an added layer of protection would be helpful, choose a well-known antivirus product, like the ones from Norton or McAfee. Avoid programs you haven’t heard of before or that aren’t well-documented. Can An iPhone Get A Virus? Now You Know The Answer! Now that you know how an iPhone gets a virus and how to prevent it, you’re well on your way to using your iPhone with confidence. Be a smart iPhone user, and make the most of Apple’s security provisions. If you’ve ever experienced a virus on your iPhone, we’d love to hear about your experience in the comments section below! Previous ArticleWhat Is Emergency SOS On An iPhone? Here’s The Truth! Next Article My iPhone Won’t Play YouTube Videos! Here’s Why & The Fix. I'm Valerie Lauer, a writer, editor and tech enthusiast. I believe in channeling my technical support powers for the greater good, creating helpful how-tos and making life with your smartphone easier.